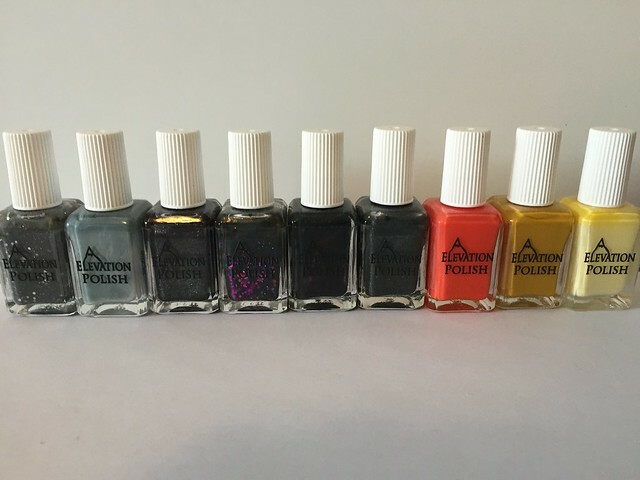 You can always inquire as to other polishes/brands I have- I haven’t done major polish purchasing in years, so I won’t have anything from newer brands or new releases, but anything from 3-5 years ago is possible. I can’t guarantee I’d be willing to part with things not listed for under retail (or at all- I do still love my polish), but I’m always open to offers. My old, outdated stash list (that I never even finished, it only goes through P) is here: https://docs.google.com/spreadsheets/d/1PYB7s6VRvACXiic514Rx9TfYd0_tQkGLUgawm8PIFJs/edit#gid=0 . Some of these may be sold already, but it’s the most up to date list I have! 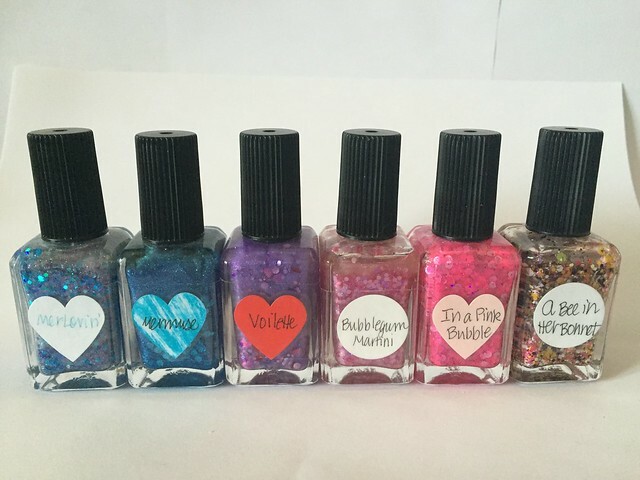 I also have small-scale nail polish making supplies that if you’re interested in things, you are welcome to ask. I have a LOT of glitter in small/sample bags, and things of that nature. I still create for fun here and there, but so many things are simply not being used. Email thepolishmonster@gmail.com for all sales please. 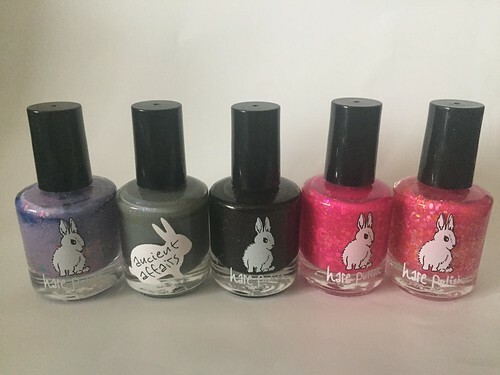 Shipping within the U.S. is $3 for the first polish and $.50 for each additional polish (Up to flat rate shipping). This includes delivery confirmation. Buyers will be invoiced via Paypal. Please pay promptly upon being invoiced. Items will only be held for 12 hours. If you have not paid within 12 hours I will offer the items to the next interested buyer. All polishes have been at least swatched on a nail wheel, though many have been worn for 1 manicure. If usage is more than 1 mani, it will be noted on the listing. It’s So Fluffy, I’m Gonna Die! Today I have a very special post to share with you! 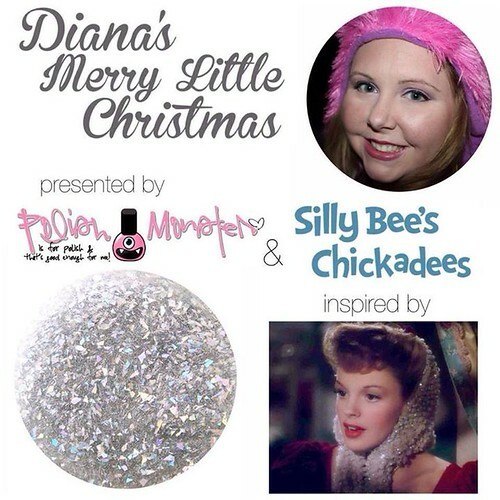 Some of you may remember that last year I collaborated with Melissa of Silly Bee’s Chickadees to create a special Christmas polish! The final result was Diana’s Nippley Holiday, and it was inspired by my favorite Christmas movie, Christmas Vacation- specifically the pool dream sequence. Money from each bottle was donated to my charity of choice, Toys for Tots! This year, Melissa is at it again with some amazing creations and even MORE collaborators! And she was sweet enough to include my mini-monster, Sydney, who has swatched for her in the past. 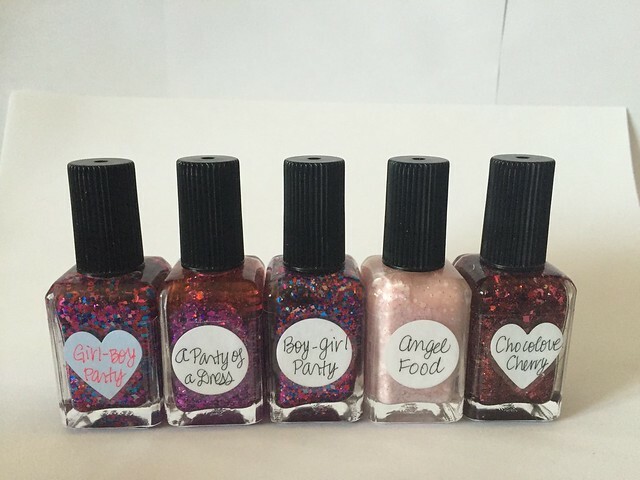 Let me tell you- Sydney thought it was the most amazing thing to have ‘her own’ nail polish made for her! She hasn’t stopped talking about it! First, I’ll introduce Sydney’s polish- Sydney’s Hot Chocolate! 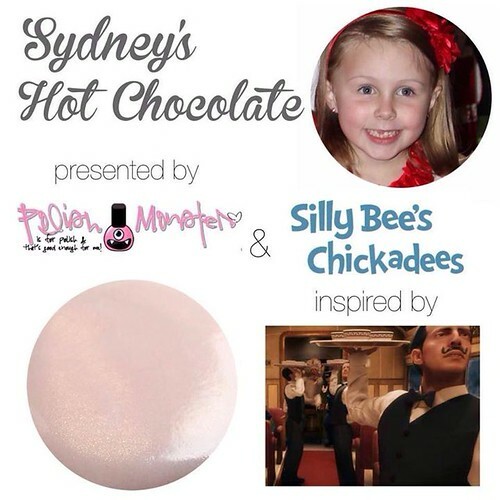 Sydney chose the Polar Express as her favorite movie, and the hot chocolate scene for her favorite part. For this, Melissa created a beautiful pale brown that leans pink (Sydney’s favorite color), filled with a gorgeous gold shimmer. Just perfect! For her charity that $2 from every bottle will be donated to, Sydney chose Bikes or Bust- a local program through Toys for Tots that collects bicycles each year to give to local kids in need on Christmas. She and her brother have picked out bikes the past few years to donate. The drive for this year has already been finished (it runs around Thanksgiving for a week), but money raised will help for next year! This is Sydney’s Hot Chocolate paired with my polish, Diana’s Merry Little Christmas, on an accent nail. She loved the sparkle! And here’s my picture of Sydney’s Hot Chocolate. 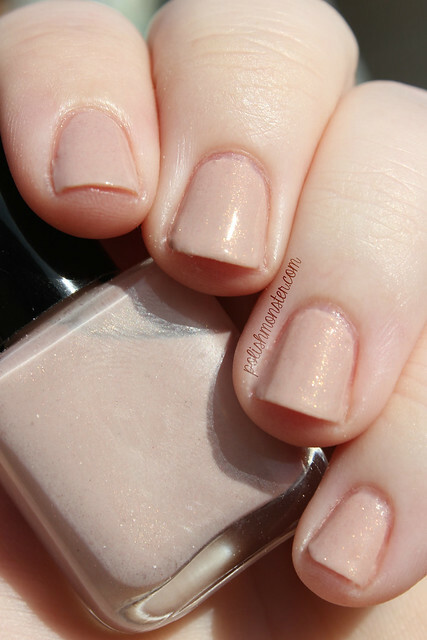 It’s a beautiful neutral- and the shimmer makes it so girly! 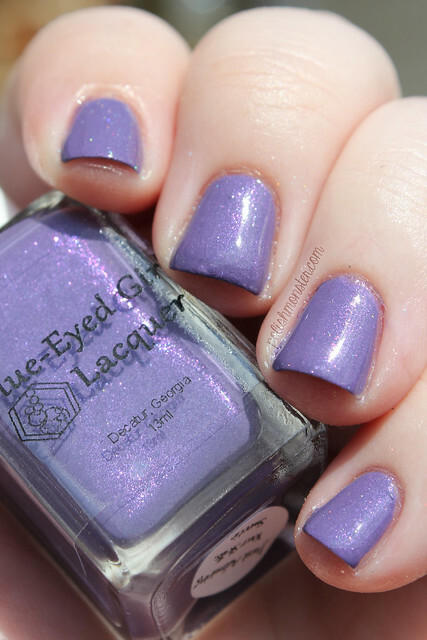 This would be a perfect shade to wear on it’s own for work! 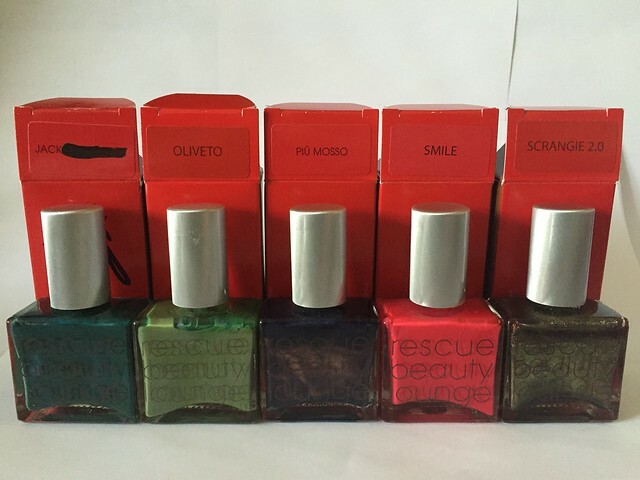 And now, time for my polish! For this years Gift of Melly, I chose Meet Me In St. Louis. It’s not completely a Christmas movie- but it did create one of the most popular Christmas songs, so I think it counts! Meet Me In St. Louis isn’t really one of my favorite Christmas movies. It is, however, my grandma’s favorite movie. Truth me told, I would roll my eyes very obviously when she would insist we watch it on overnight sleep overs at her house. It’s a bit cheesy, and as a kid/teenager I just did not appreciate the over the top musicals of the 40’s (I do now, though). But it holds a very dear spot in my heart, because my grandmother has Alzheimer’s disease, and memories like watching this with her every year are what I hold on to now. My grandma is still with us, but not mentally. She no longer remembers who I am, or that I even exist. She sometimes remembers my mom (her daughter), but not that she’s an adult. She doesn’t understand that the old man living with her is her husband of 60+ years and is terrified of him. I’ve also lost my other grandmother to dementia, and it is so incredibly hard and heartbreaking to not only the person suffering, but to their family and friends. So in honor of both of them, I chose the Alzheimer’s Association as my charity of choice this year. Hopefully one day Alzheimer’s and dementia will be things of the past. 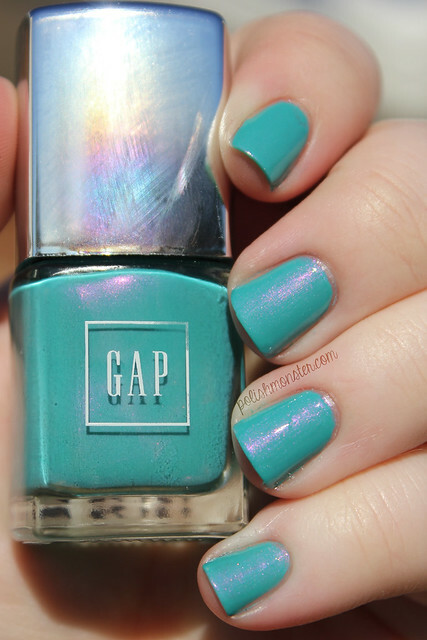 On to happier topics that don’t make me cry- like this beautiful polish! I chose the scene where Esther (Judy Garland) sings Have Yourself A Merry Little Christmas to Tootie (Margaret O’Brien). Melissa decided to base the polish on the beautiful wrap on Esther’s head- so full of sparkles and shimmer! First I applied Diana’s Merry Little Christmas over Sydney’s Hot Chocolate- they pair so well together! 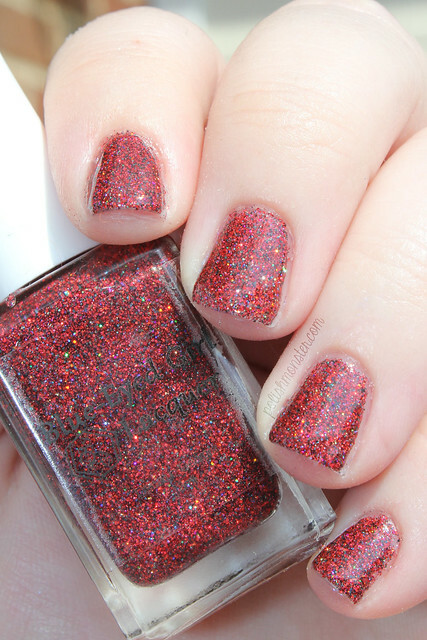 Diana’s Merry Little Christmas is a sparkly glitter topper filled with silver holographic shreds, bars, and fine glitter. Out in the sunlight, this polish is BLINDING! It is a holographic stunner. I tried so hard to capture the rainbows shimmering off my fingertips, but failed! Trust me though- this one is even more beautiful in person! 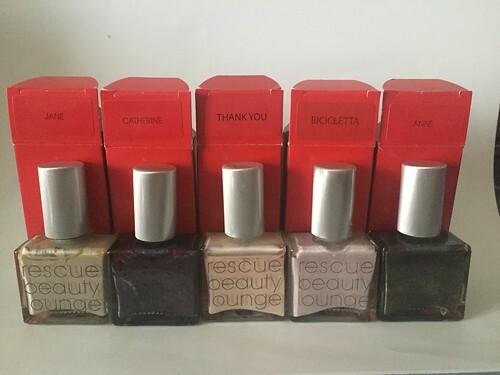 I then added 1 coat of Diana’s Merry Little Christmas on top of a Christmas red, similar to the dress Esther is wearing in the scene- I used Rescue Beauty Lounge’s Gondoliere for the photo (which is an amazinggg red). I adored this combo! Just SO Christmas-ey and fun! 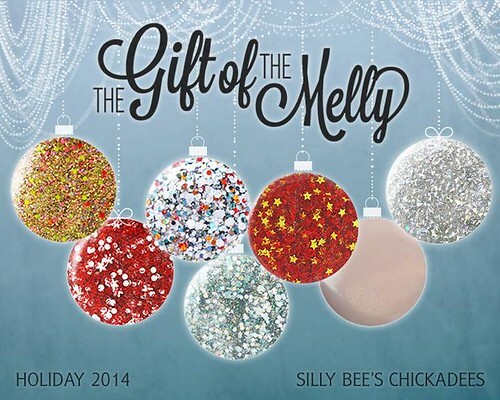 Interested in the other Polishes for Good in the Gift of Melly 2014 collection? Here’s a list! 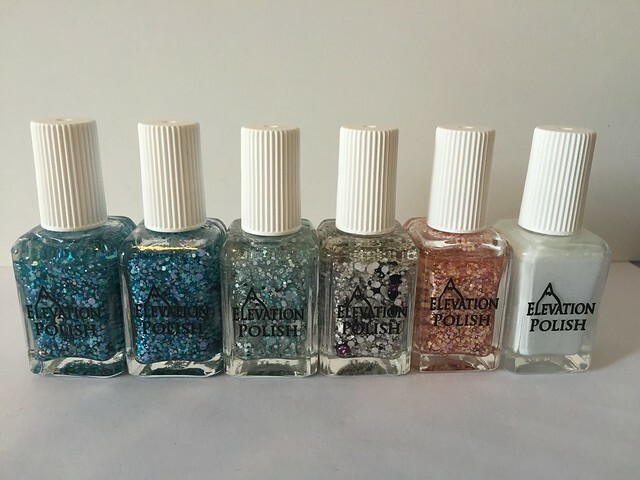 You can buy any of these great polishes for $10 RIGHT NOW in Silly Bee’s Chickadees shop! 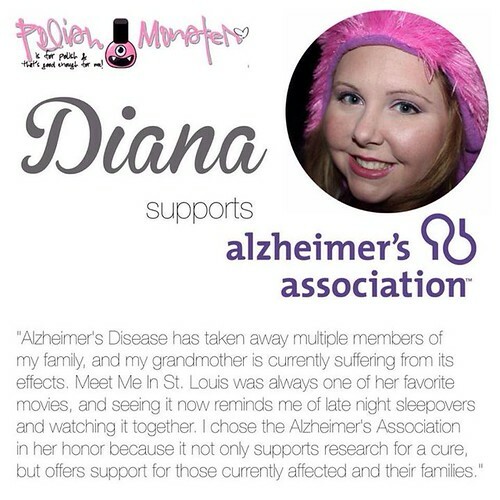 Silly Bee’s is donating $2 from every bottle sold to the blogger’s charity they chose! Be sure to follow Silly Bee’s Chickadees on Facebook and Instagram for news and updates! And now, if you’ve made it this far- a GIVEAWAY! Just in time for the holidays!! Click the LINK BELOW to go to Rafflecopter and enter! The giveaway ends on 12/17/2014 at 12am – GOOD LUCK! Good evening everyone! 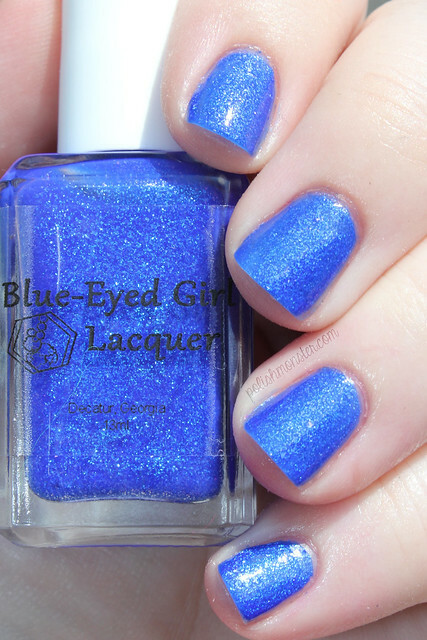 Tonight I’m showing off the latest amazing collection from Blue Eyed Girl Lacquer! 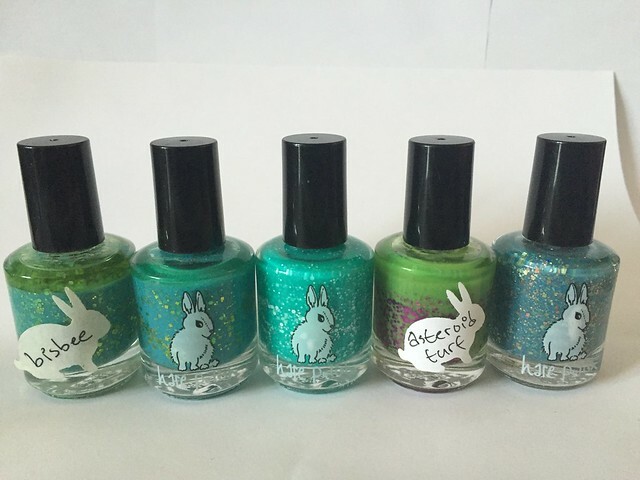 The It Got Away From Me, Yeah… collection is based on the ladies of Doctor Who! 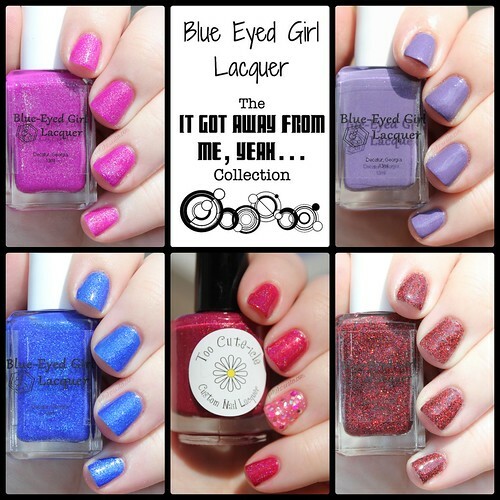 Julie, the creator of Blue Eyed Girl Lacquer, had so many ideas for a Doctor Who collection that it was simply too many to release all at once. So this month is dedicated to the ladies of Doctor Who, then it’s time for the guys, and then time for the Doctors themselves (though only 9-12). 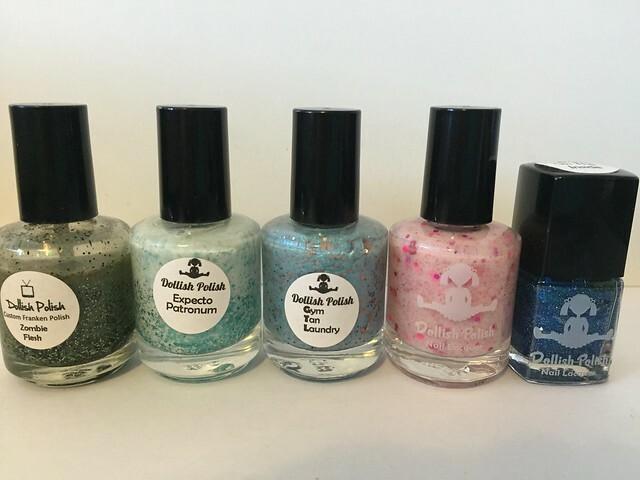 You’ll definitely want to watch for the collections- there’s so many amazing polishes in each set, and I am collaborating with Julie for the Doctor set! 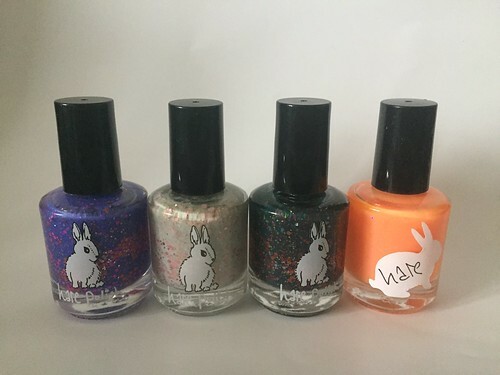 That’s right, Monster Polish will FINALLY be available to buy! I’ve only procrastinated for a year 😉 My contributions are for Doctors 9 and 12- be on the lookout for sneak peaks soon!! 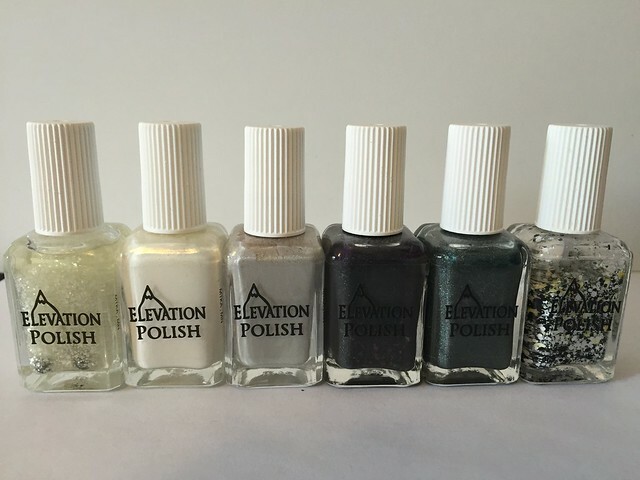 Back to this awesome set of polishes- there are 6 polishes total in the set. 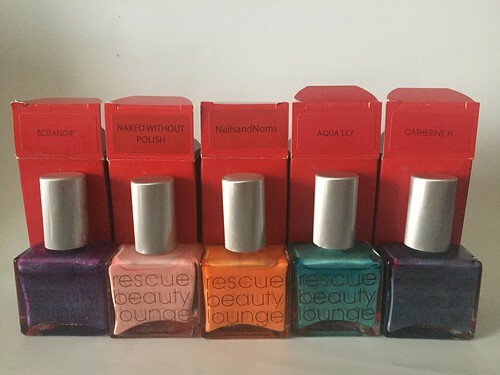 I don’t have Donna’s polish, ‘You Just Want to Mate?’ yet, but I’ll post about that soon. 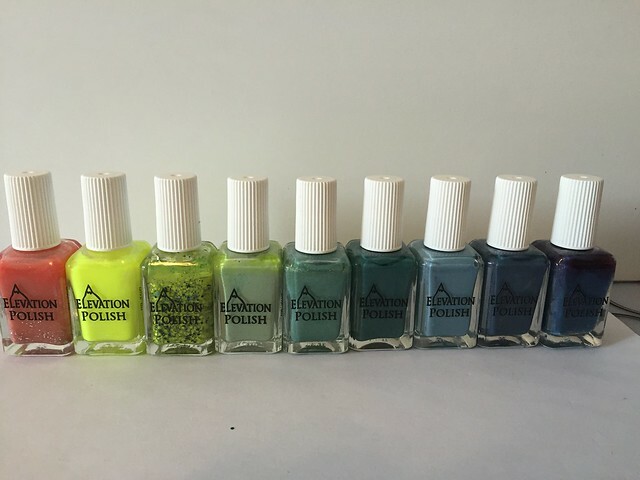 Each polish represents each of the Doctor’s companions throughout the revamped series. First up, we have ‘Just Admiring Your Skills, Sweetie’! 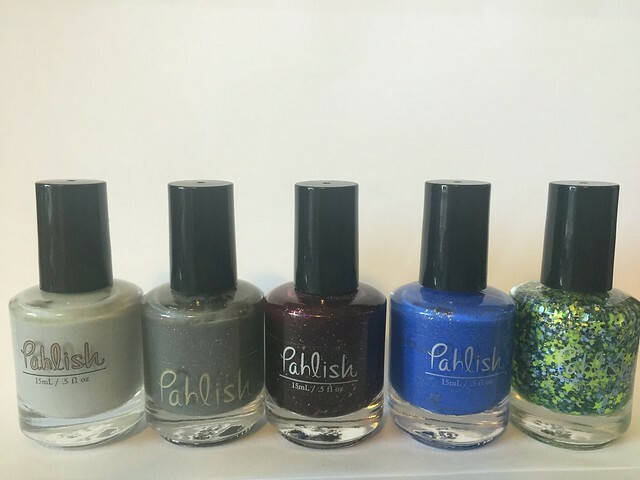 This beautiful polish represents River Song, the 11th Doctor’s wife and while not really a companion, definitely an important woman in his life. I absolutely adore River, and I’m so glad she was included! Just Admiring Your Skills, Sweetie is a muted purple polish filled with a subtle purple to pink shift. Application was good, I used 2 coats for these photos with topcoat. 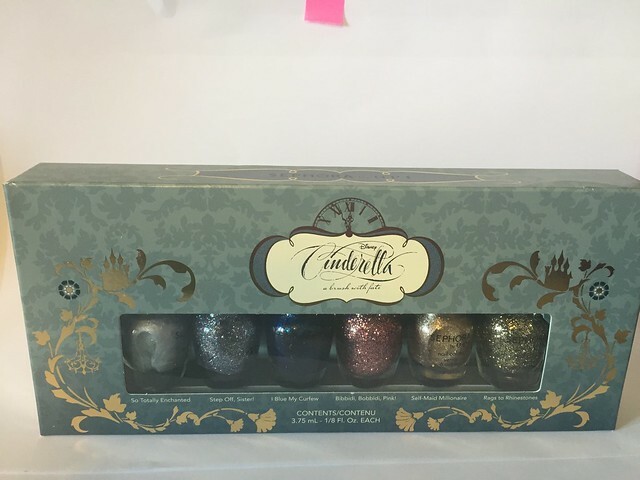 The shimmer is shy with this one, but still sparkly and visible- just more subtle than the others in this collection! Next is ‘A Snogging Booth?’! 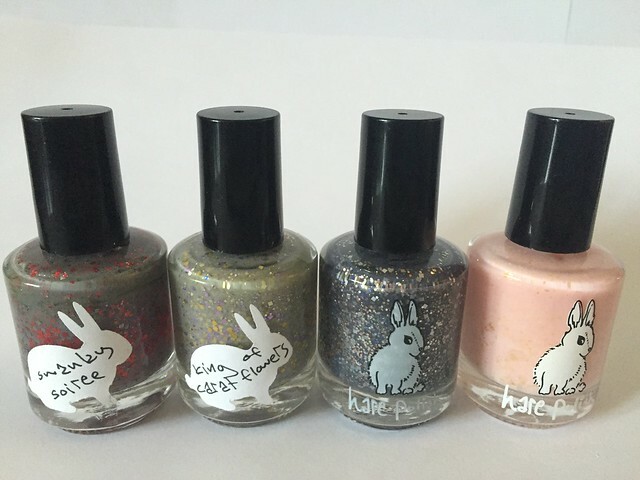 This is Clara’s polish, the current companion to the Doctor. Though not my favorite (it’s hard to choose! ), I like Clara a lot, and I’ve really been loving her so far in the current season with 12. A Snogging Booth? 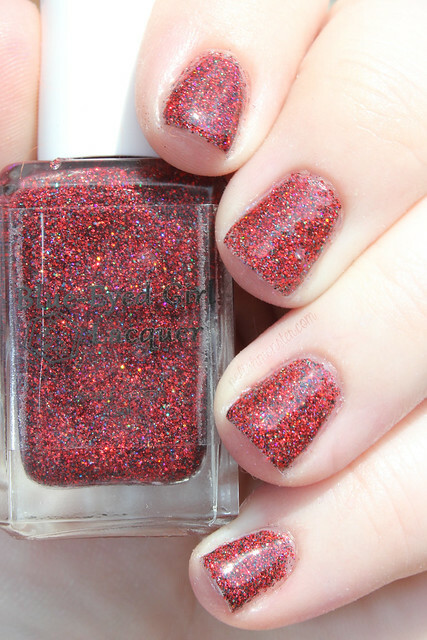 is a red and black holographic microglitter polish! Application was good- the coverage for a glitter polish was really great. I used 2 coats with no undies for these photos, plus a thick layer of topcoat to smooth things out. A Snogging Booth? was simply *stunning* outside in the sun- the holographic glitters sparkled everywhere! It was a surprise favorite for me. Next up is A Long Time Ago Tomorrow! 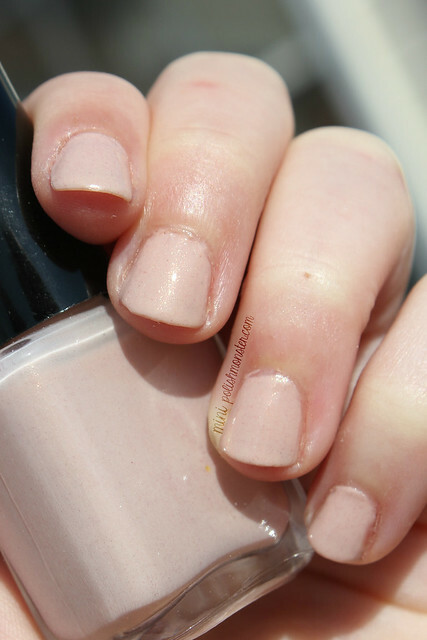 This is Amy’s polish- and boy, is it a stunner! 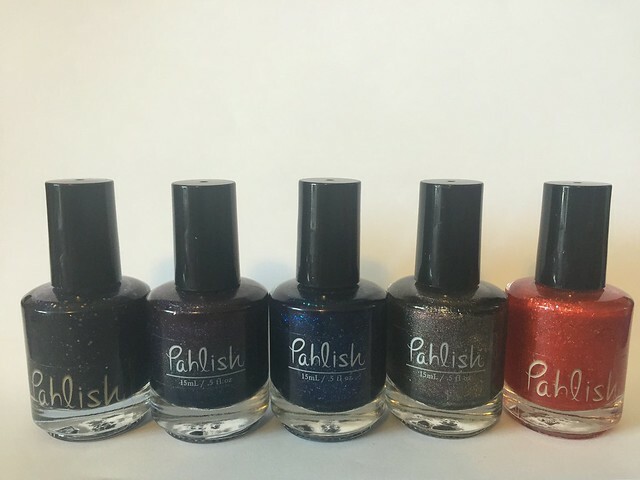 I’m not surprised that one of the brightest, shimmery polishes would go to Amy Pond 🙂 Amy is my favorite companion (really, the whole Pond family rolled into 1 is my favorite), and this polish is just perfect! 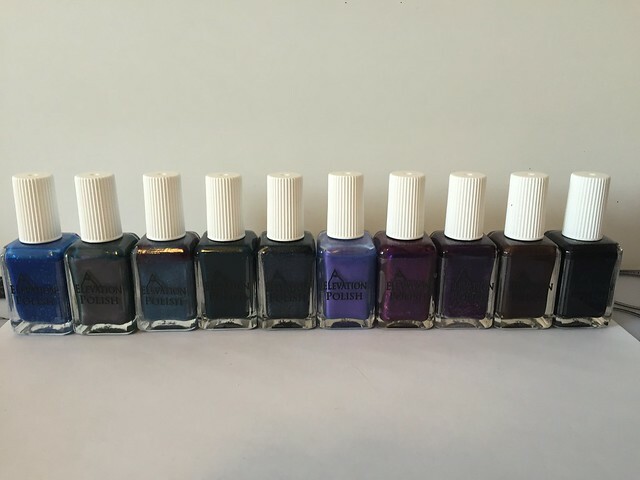 A Long Time Ago Tomorrow is a TARDIS blue (Royal Blue) polish filled to the brim with blue to pink to purple shifting shimmer. The shimmer here is not shy at all- in most lights, it appears silvery, but if you catch it right you can see the beautiful shift. The photo below shows the shift off a little bit! Application was good, I used 2 smooth coats plus topcoat for the photos. Next is hands down my very favorite of the collection- ‘I’m Dr. Martha Jones, Who The Hell Are You?’! As you could guess from the name, this is Martha’s polish. Sadly, Martha is my least favorite companion, though I really don’t feel like that’s her fault- I couldn’t stand 10 during the Martha season either. I adored Martha in the first episode, and in the last few episodes, when she wasn’t mooning over the Doctor. I love that Julie picked a quote for Martha that shows her awesome side! ‘I’m Dr Martha Jones’ is a gorgeoussss fuschia polish filled to the brim with green to gold to blue shifting glass flecks. Much like A Long Time Ago Tomorrow, it dries to a satin finish, and the shimmer is very obvious and in your face. It appears silvery in some lights, and you can definitely see the gold shift in a lot of lights. Application was wonderful, I used 2 coats plus topcoat for the photos. 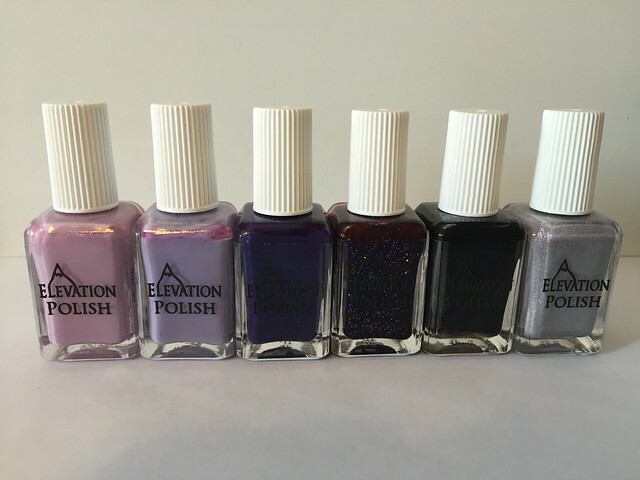 I do, however, have a special place in my heart for this polish, because it was originally created as a custom polish for me last year for my birthday. 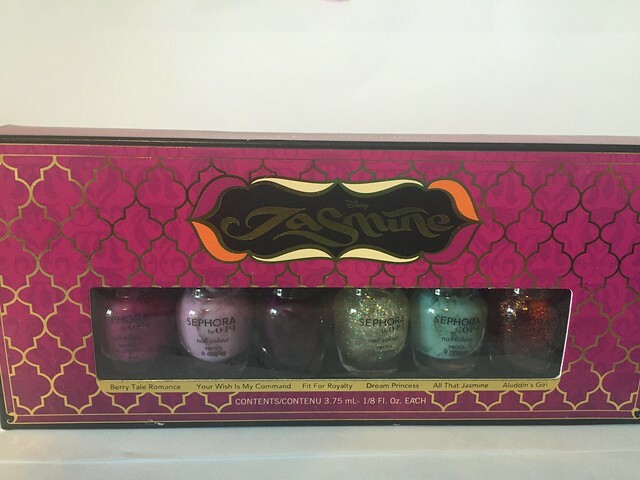 Julie then added it to the core line, and has re-released a slightly reformulated version for this collection! 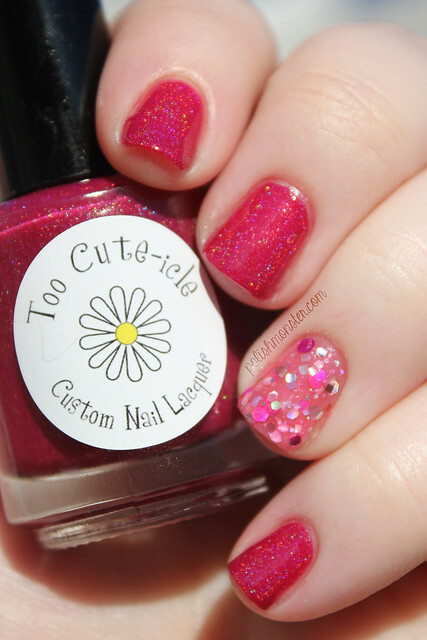 I took this photo last year shortly after I got the polish- the other polish in the photo is Too-Cuteicle’s Hibiscus in Bloom 🙂 Jiggery Pokery is a hot pink jelly polish filled with pink, silver and hot pink glitters! I used 2 coats in this photo. 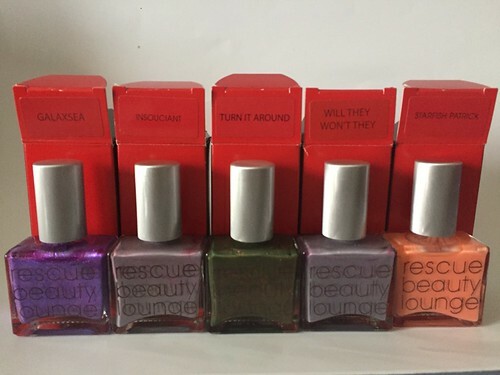 The current reformulated version has a slightly darker pink jelly base. I think it represents Rose perfectly! This collection goes on sale TOMORROW, September 21, 2014 at 3:30pm EST. 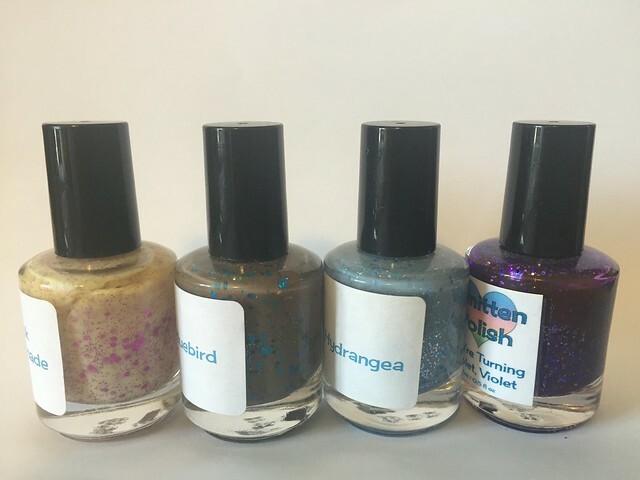 Along with these polishes and You Just Want to Mate?, Julie will be releasing the special edition Terrific Twos, her blog’s 2 year anniversary polish, and the latest in the LE Siren series, Sunburned Siren. Some older colors will be restocked as well! 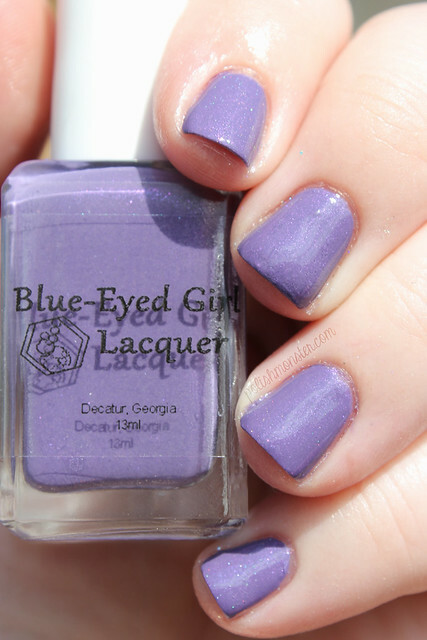 Be sure to follow Blue Eyed Girl Lacquer on social media! 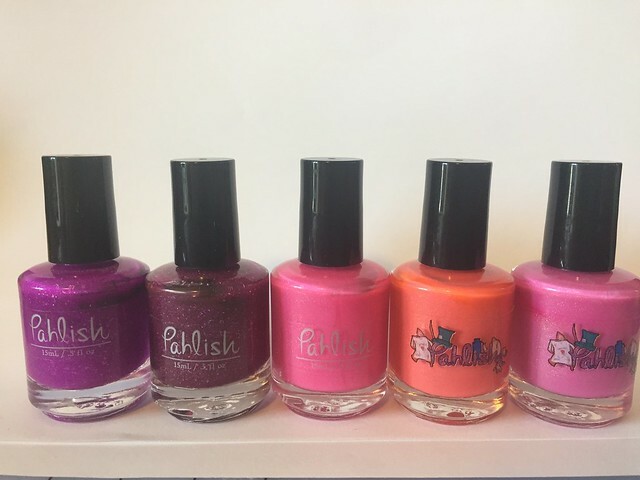 Today I have the pretty Darling Diva Polish Cover Girl to show off! 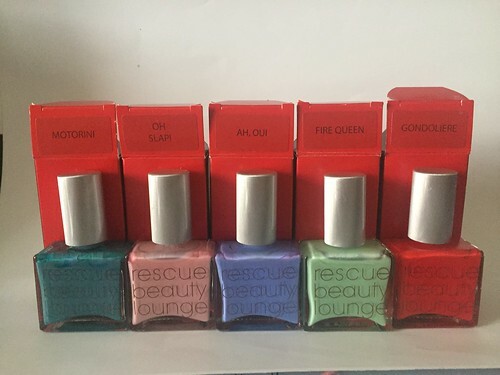 This polish was part of Darling Diva’s Drag Queen Diva collection, inspired by RuPaul, which is now retired. I grabbed this polish while it was on sale and I’m glad I did! The holographic effect is strong, but not super linear (strong effect but not a strong arch to the holo). 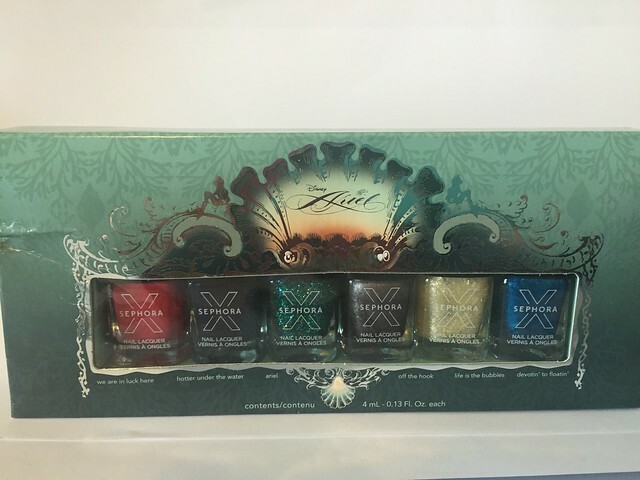 It mixes with the sparkles in the sun and makes your nails light up! I used 2 coats and no topcoat for these photos. I don’t recall any issues with the formula- but I took these pictures a few months ago so I can’t be positive. 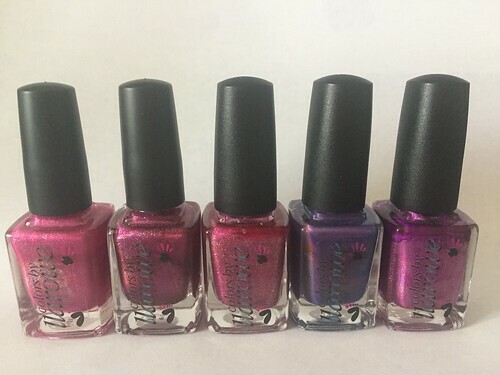 While Cover Girl is not currently available at the Darling Diva store, you can still find a ton of amazing pinks- including the I Hate Pink! 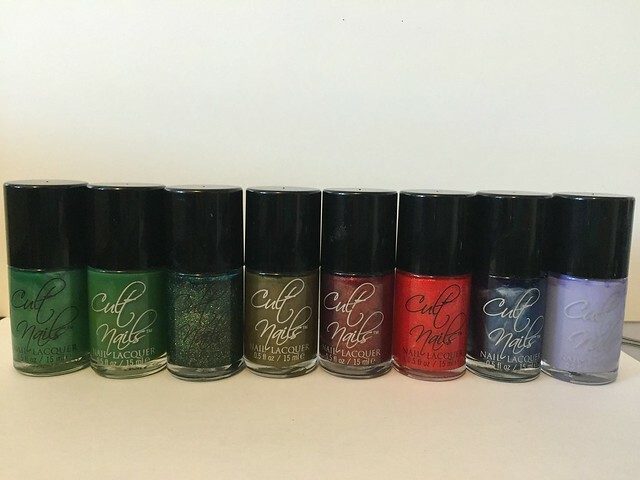 collection and many other beautiful colors! 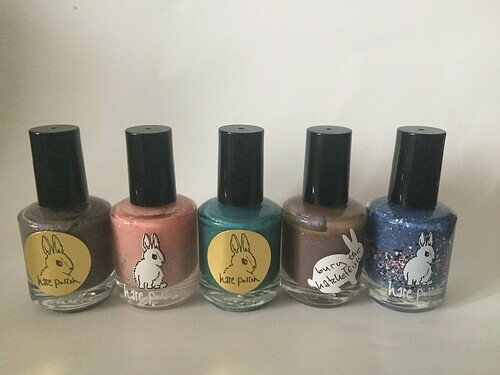 You can follow Darling Diva Polish on Facebook and Instagram, and buy their beautiful polishes via BigCartel and Etsy. 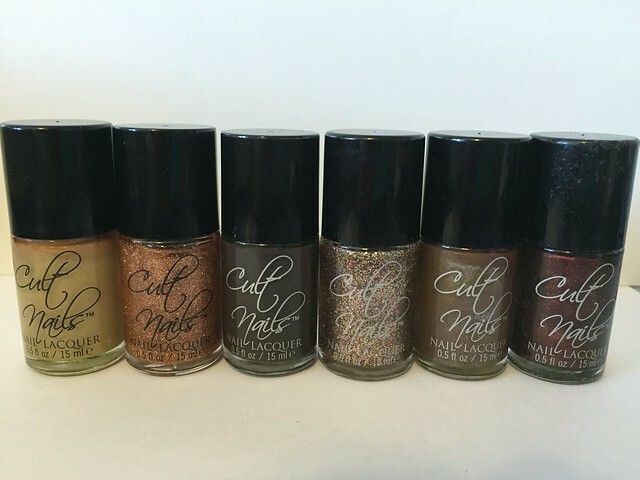 Just a quick post today- it’s another polish I swatched forever ago and never posted! This is GAP Bright Pool, which you can buy in GAP stores. You may have to dig- in my GAP, they had all the polish all mixed up in glass cylinders. Aside from being absolutely gorgeous (I adore the aquas and mints! ), this made waves in polish land this past.. winter? fall? 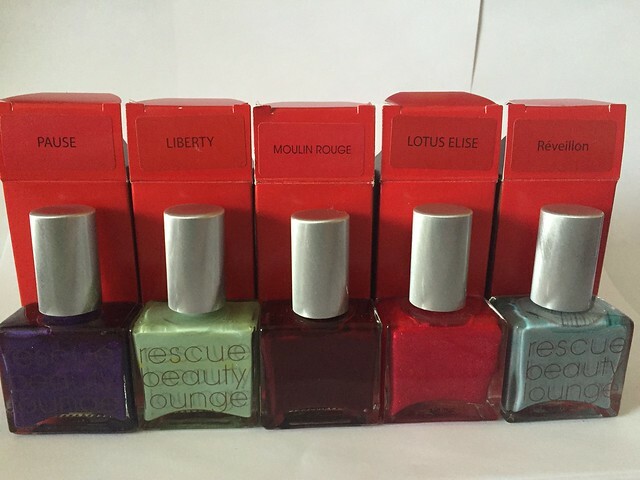 because it’s a dead on dupe of Rescue Beauty Lounge’s beloved Aqua Lily. I didn’t do a direct comparison here, but others have done side by side comparisons if you do a quick Google search. I’ve not really been able to notice any differences- which is great, because it’s a lot cheaper (RBL is usually $20), and Aqua Lily is currently retired. 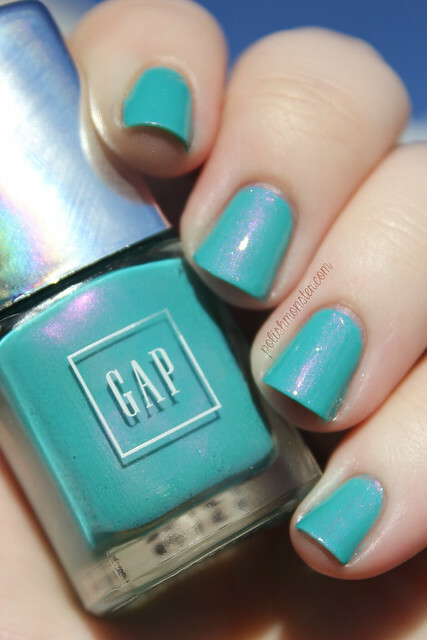 Bright Pool is a stunning bright aqua polish with a strong pink flash. The flash is mostly noticeable in direct lighting or outdoors, but you can sometimes see it indoors- though as you can see from my old AL post I linked above, it’s very subtle. Bright Pool applied well (I know I’ve been saying this all the time- but I honestly haven’t photographed any polishes that have given me trouble in awhile)- I used 2 coats with no topcoat for these pictures. As I said earlier, you can pick this up inside GAP stores- sadly you can’t buy it online (well, not directly from the GAP that is). I don’t remember the exact price, but I think it was in the $4 range (someone feel free to correct me if I’m off on that!). 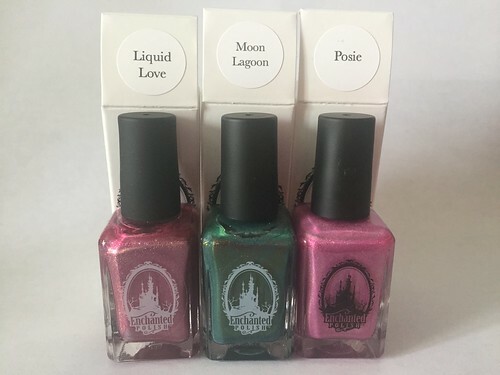 They have a few other pretty colors so it’s definitely worth checking out! 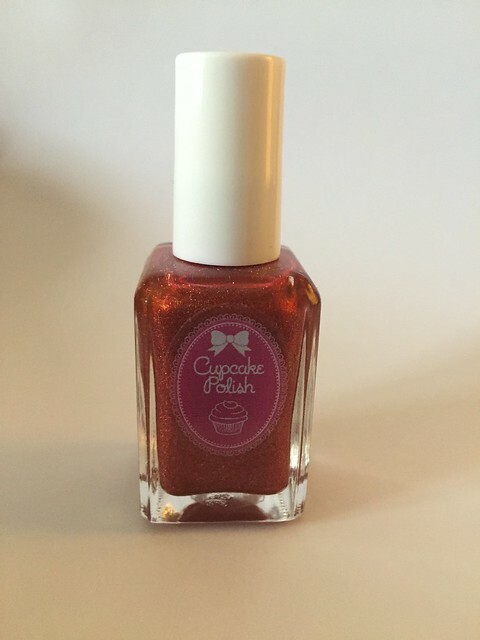 This beauty was originally released with Smitten Polish’s Valentines Day Collection- and thankfully it is still available! Be Mine is a yummy bubblegum pink holographic polish. Be Mine applied well- smooth and even, no pooling or other issues. I used 2 coats with no topcoat for these pictures. 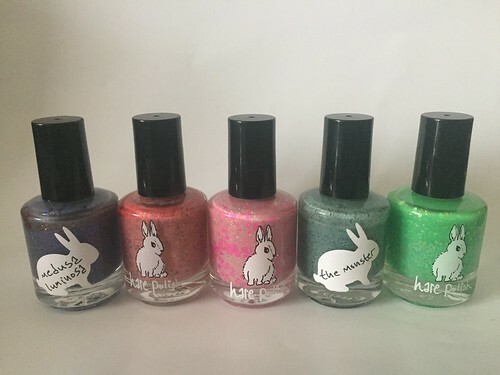 You can buy this polish and other beauties from the Smitten Polish storefront. Be Mine is in stock right now, but if you’re interested in any of the out of stock colors, there’s a restock coming on July 26 at 2pm CST! 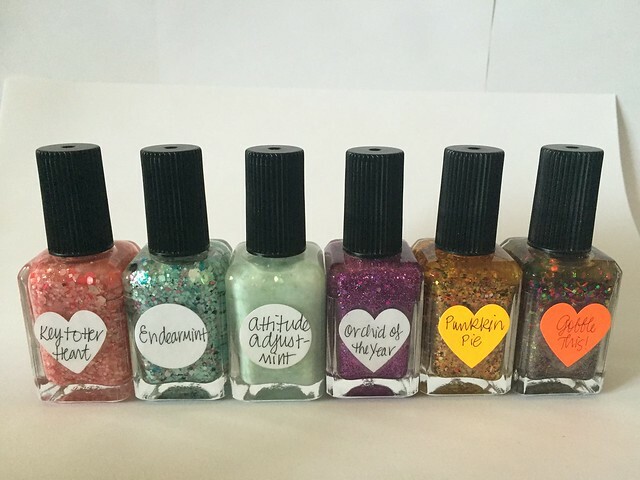 You can follow Smitten Polish on Facebook and Instagram for upcoming colors, restocks and other information! 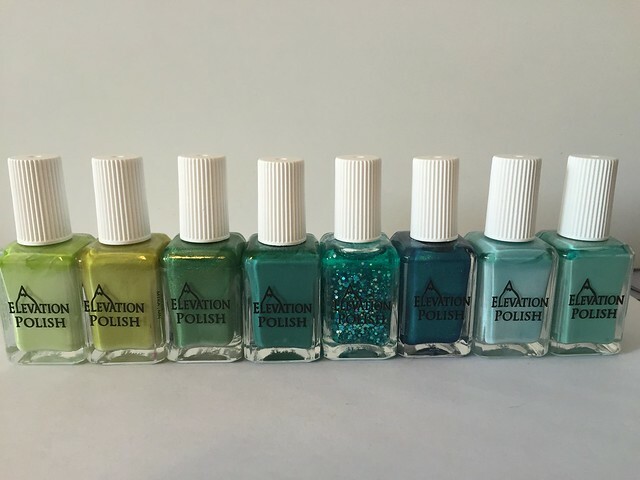 Any other Smitten Polishes you’re interested in seeing? Let me know in the comments! I don’t have them all, but I have a good amount- so I may have it!